"We were surprised at how quickly we blew our budget." - Any client who didn't work with us, ever. A tip sheet to keep the stuff from hitting the fan. Website projects start with good intentions, but often end in budget-draining agony. Why? 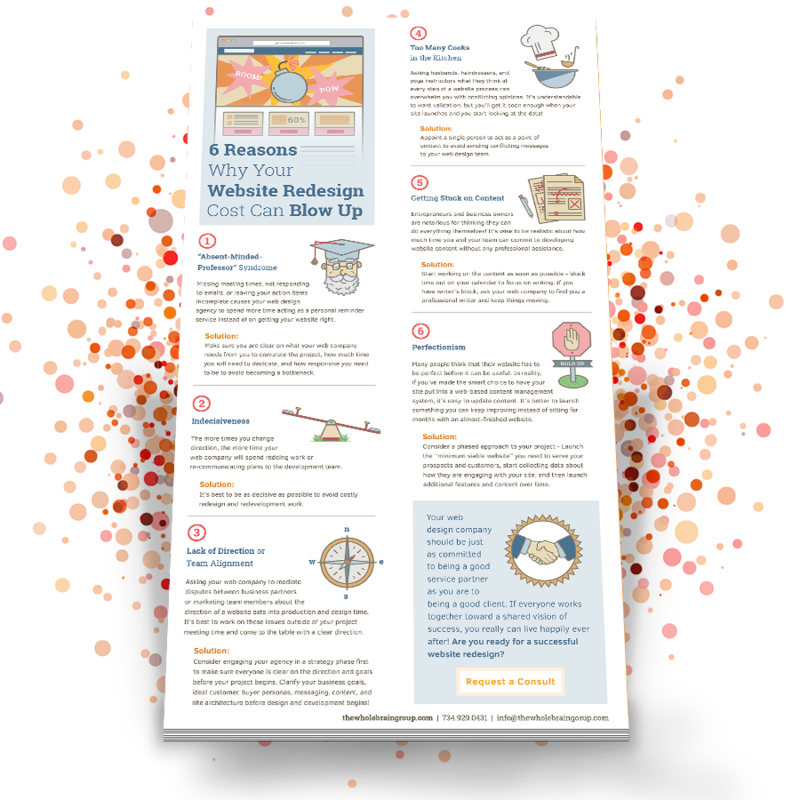 6 Reasons Why Your Website Redesign Cost Can Blow Up lays out the most common pitfalls in a website project—and how to avoid them. It'll help keep your team sane and your budget from boiling over.